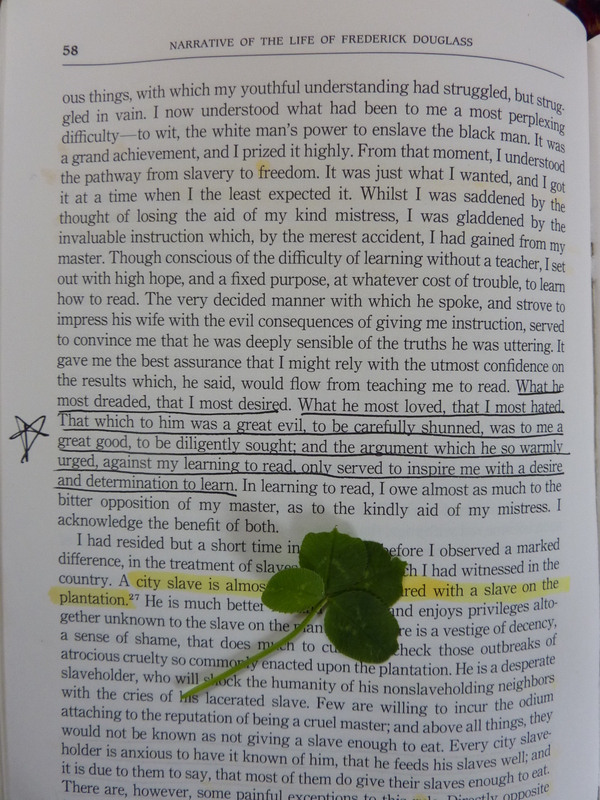 The four-leaf clover – Štvorlístok in Slovak – was the symbol of the Fabry family, and finding them and tucking them into books is something our family still does. Here is the first one of the year, a gift found by my husband, my biggest fan and number one supporter. This entry was posted in Fabry Family History, Vladimir "Vlado" Fabry and tagged family history, Four-leaf Clover, Frederick Douglass, Heroes, Narrative of the Life of Frederick Douglass, Slavery, Vladimir Fabry, Vlado Fabry, Štvorlístok on April 28, 2015 by fabryhistory.